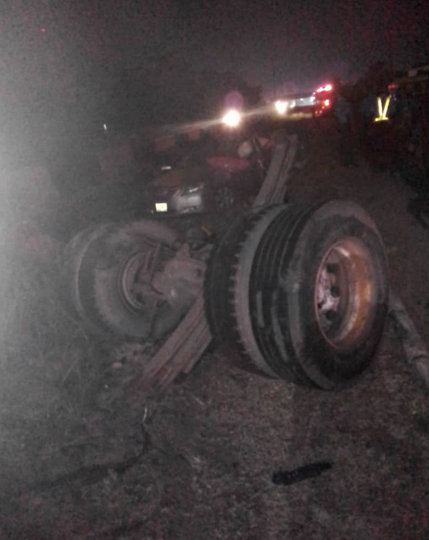 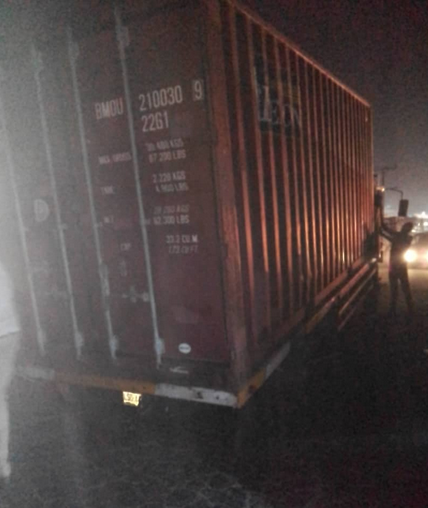 A container truck caused a major accident yesterday at the Old Toll Gate when its old tyres pulled out, hitting a following Toyota Camry. 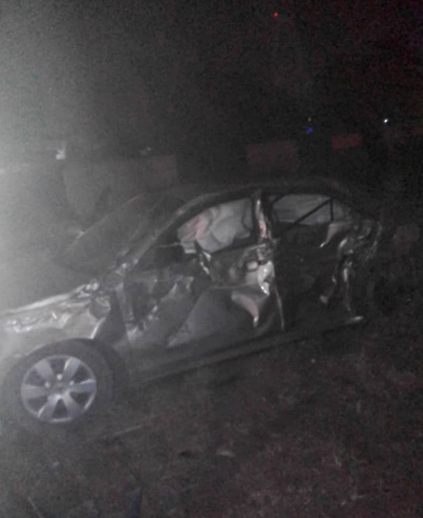 The driver sustained injury and was rushed to Magodo Hospital. 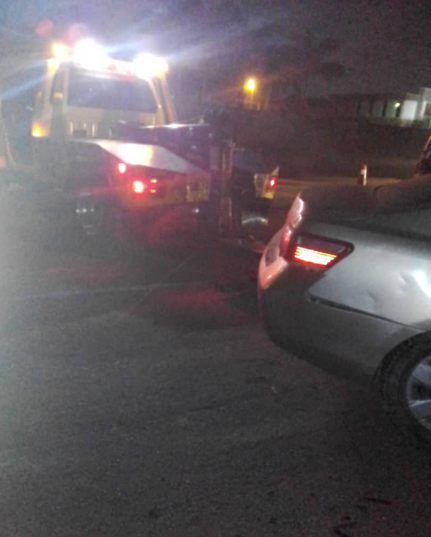 The vehicles have also been cleared off the road and taken to Alausa Police Station and scene cleared.